If you have an Amazon Echo device, you can now teach it to give you a Latter-day Saint quote of the day. 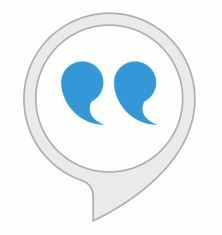 Use the Amazon Alexa skill Latter-day Saint Quote of the Day and check back every day for a different quote! Go to Latter-day Saint Quote of the Day at Amazon.com and click the “Enable” button. Go to the Alexa app you used to set up your device and navigate to the Skills tab on the left side. See other LDS-related Amazon Alexa skills. What other LDS-related Amazon Alexa skill you would like to see? Leave a comment below.